West Brook rapidly flows down a curving water slide and over a two step fall. The falls are at the head of a small gorge, cut by West Brook through the soft rock. 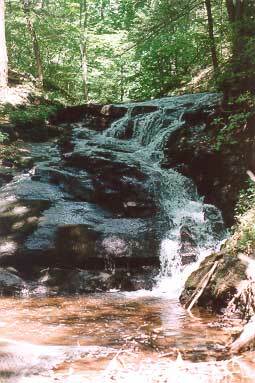 The falls themselves are made of hard trap rock, part of West Rocks Ridge.